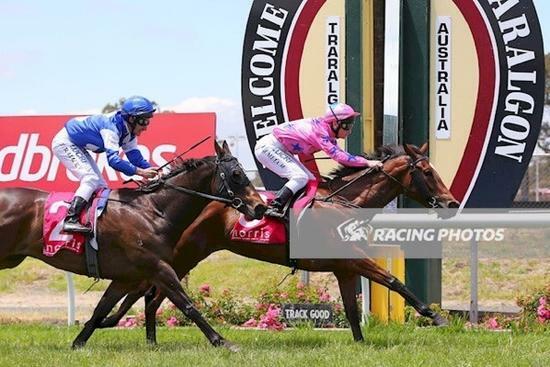 Rokurokubi broke her maiden at Traralgon yesterday with a gutsy victory. After clearly being headed upon entering the straight, under the guidance of inform jockey Linda Meech she fought hard and was pulling away in the finish to win by 1/2length. Rokurokubi has been a model of consistency this preparation and was well rewarded with the victory. Congratulations to her connections! !